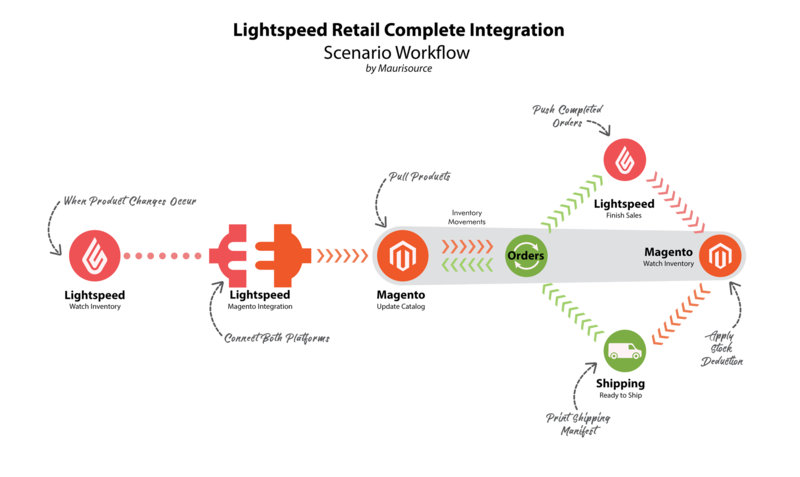 Lightspeed POS integration with Magento 2 ®. 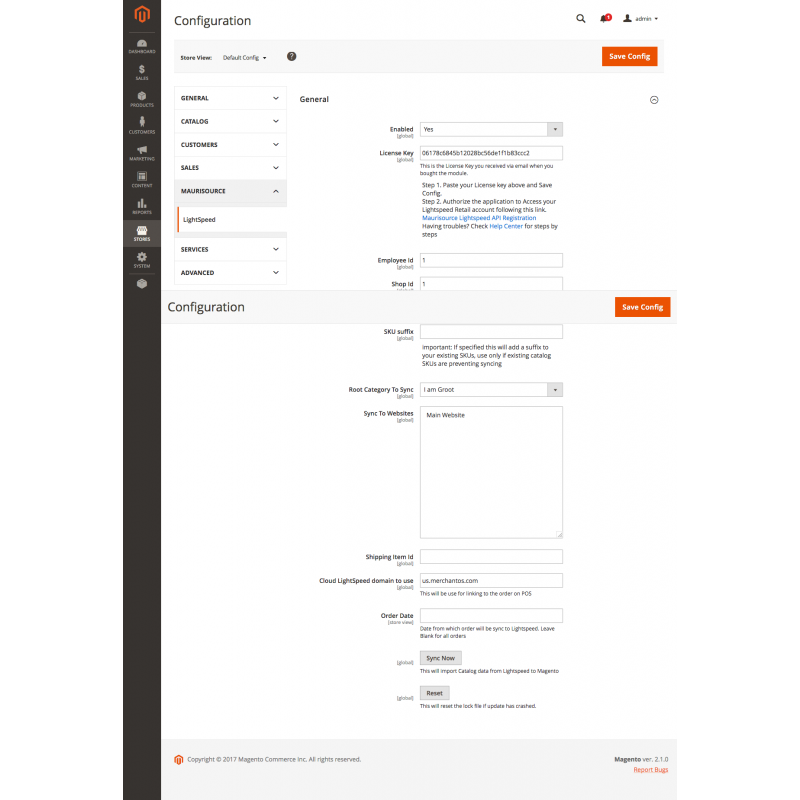 Securely operational behind your Magento 2 ® admin. The module is locked-down from any unauthorized access. Admins wanting to minimize usage of Magento ® interface for their clients. Productiviy Booster! Keep accurate data synced between platforms. Set it up, forget it. An open-source module offering expanding capabilities! 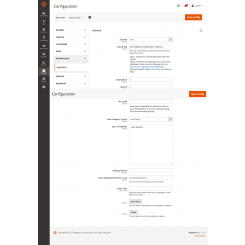 Why Magento 2 Lightspeed API Connector? Lightspeed is a leading Retail store Point of Sale system in north america and growing worldwise. Its integration with Magento offers a multi-channel selling environment. Magento eCommerce being the leader online shop platform, many clients have trouble managing its complex catalog. Often manually entering products and have a dedicated personel for that task which is quite repetitive. 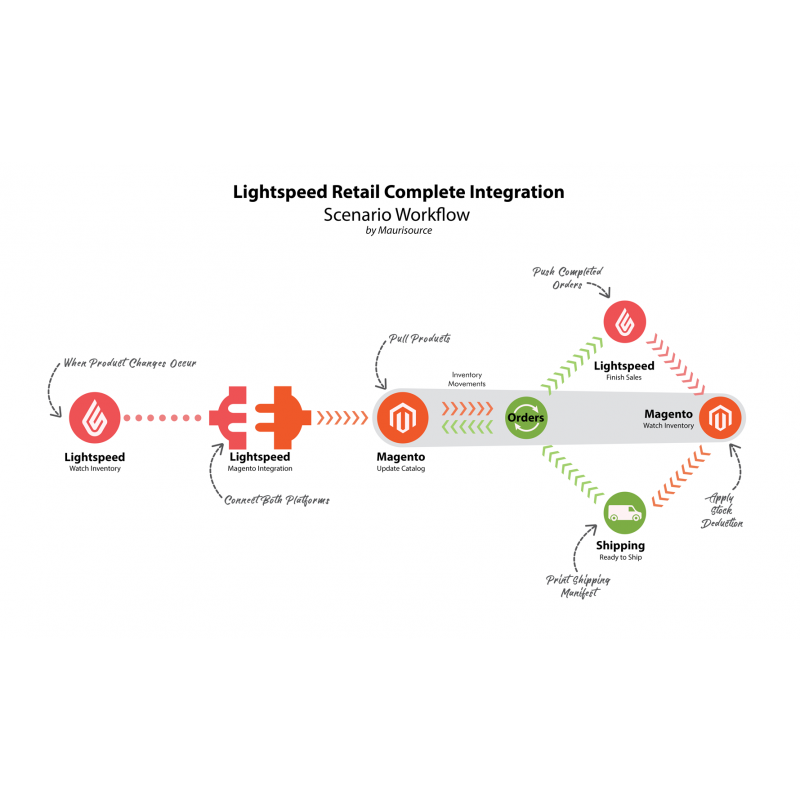 How Lightspeed integration helps? 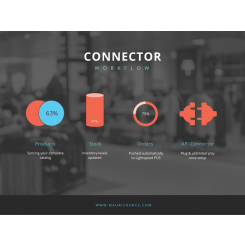 By using the same centralized POS interface, they manage their inventory system as well as their online catalog. 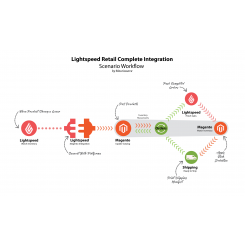 Online orders from Magento appears in Lightspeed API Retail solution and allows easy management for the whole staff. It's like marrying both platforms and have them work for you, not the other way around. 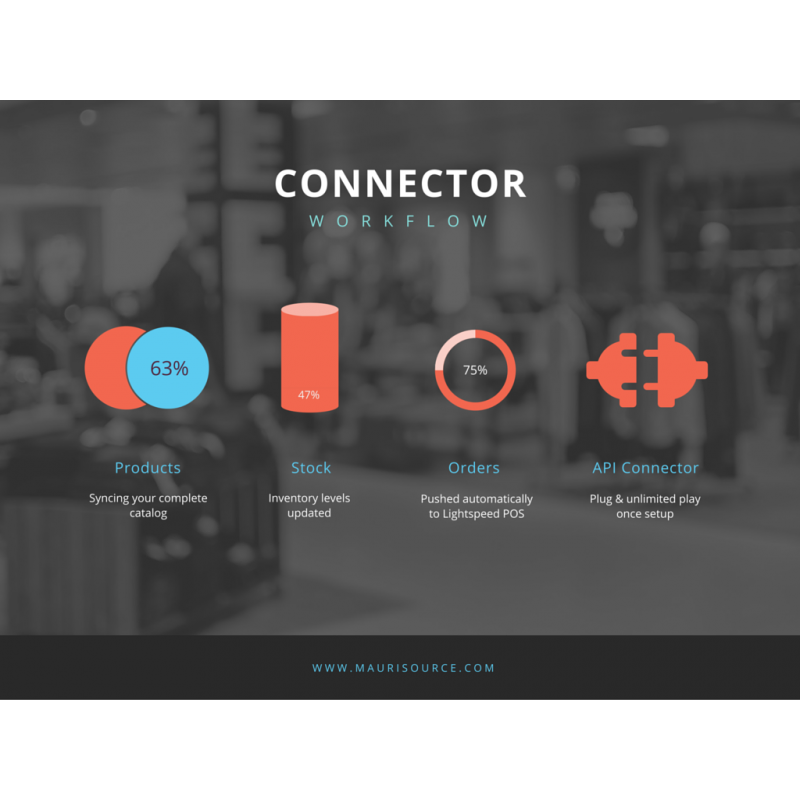 Acumula connector for Lightspeed offers additional interfaces to manage and sync the inventory which are cumbersome. As administrators don't want to fiddle around other screens to administrate their stores. Kosmos-central also offers an integration to join the two platform (Magento and Lightspeed) But as a high-recurring monthly fee. There's no need, Maurisource Extension eliminates these cons.  Custom API extension for Lightspeed, means open-source and flexibility. CRON-job with high and frequent syncing.